When Miss H was a baby, I thought there was no way I could ever get angry with her. Then she got older. If you’re like me, you’re usually a super nice mommy. Until a switch is flipped. Suddenly, I’m a raging beast, and all the fruits of the spirit have shriveled up and died (temporarily). This doesn’t happen on a daily basis, but I think a few times a week would be a safe guess. After I lose my temper, I feel guilty and apologetic. The angry me is not my best self, and it sure doesn’t reflect unconditional love. That’s why I listened intently when I heard a speaker discuss anger at MOPS a few weeks ago. I decided to treat this like any other habit, and come up with a plan to stop angry outbursts. Anger is not necessarily a bad emotion, but how we react to it can be. We can get in the habit of exploding when we’re angry, or we can get into the habit of controlling ourselves. In Charlotte Mason’s philosophy, things like behavior and learning should not bring strife between a parent and a child. This relationship is so important, and I don’t want to do anything to damage it. I learned from the speaker that the fight or flight reaction has changed. It used to be a physical response, but now our reaction is to spew words. Our words can have long-term, negative effects on our children, and that’s not how I want them to remember me. 1. When Do You Get Angry? I get angry when we’re heading out the door, or when Miss H interferes with her brother’s sleep. Knowing that these times could be bad for my anger, I can prepare myself ahead of time. Keep a little journal nearby to record when your outbursts happen. 2. What Does Your Self-Talk Say? When we get angry, we have messages that go through our heads. The speaker asked us to identify these messages. It might be, “I’m a terrible mother!” Or “I’m treated like the maid.” We were asked to analyze these phrases to see if they are true all the time. Maybe you feel like a terrible mother when your anger is in control, but are you always a terrible mother? Is your only job as a mother to clean…always? The phrase in my mind when I’m angry is usually, “I can’t do everything by myself!” This phrase pops up when I’m trying to get everyone loaded up in the car, the baby decides to poop, and the dog runs out the door all within 30 seconds of each other. Is this true all the time? Yes. I can’t do EVERYTHING by myself. Recognizing this phrase let me realize that I need to be a little gentler with myself. Maybe I’m trying to do too much. Maybe I need to give myself more time to get out the door. or give myself the grace to be late. When we’re trying to change a habit, diverting ourselves is often a good alternative. By elevating our heart-rate, the speaker said that we can calm ourselves down physically because of the hormones released. Counting uses a completely different part of our brains, so it also tends to calm us down. This is a trick I learned and used in the classroom! Since I’m a praying person, this really helps to anchor me and cause change. Meditating on scripture will also help. Keep a note card with a verse on it in your pocket. Since our “fight” mechanism is to say hurtful things, I can just stay silent until my anger passes. This one is hard for my husband to understand! When forming any positive habit, having a visual cue is helpful. I read about a woman who wore a specific color each day to remind herself. Maybe it’s a note or Bible verse on the fridge, or even a tally sheet. When you make it through the morning without any outburst, give yourself a tally mark. I’m committed to changing this habit into something more positive for myself and my children. Since children learn so much through modeling, I want to be sure I’m modeling healthy anger management skills. Do you have a strategy that works for you? You can find more parenting books in my Amazon Store (affiliate links.) Check out Trggers: Exchanging Parents’ Angry Reactions for Gentle Biblical Responses, another helpful book about dealing with Mom anger. I love your honesty. This post spoke right to me. Managing anger is something I find hard, outbursts happen and then the guilt follows. So many practical tips to try though so thank you. I need to work on my anger, not just with my daughter but also with my husband. Thanks for sharing. So many of us do! Anger towards my husband is what inspired me to read Unglued. Thankfully I’m getting better in that area. Those little ones just get better and better at testing our patience! Oh wow… I never would have thought of exercising! Makes sense, though, as it does relieve stress. This is all so informative! Thank you, Inez! Yes, the speaker said to just change your heart rate, so it doesn’t even have to be a full-blown workout! This is excellent. I love “all the fruits of the spirit have shriveled up and died”, ha! I need to think about what consistently triggers my anger – with the boys it’s throwing food. It’s been three years, folks. I’m ready for the stage to end! Thank you, Susan! I’m about to step into a whole new realm of boy behavior that might possibly drive me crazy. I’m pretty sure it will entail throwing food. Oh, I remember Unglued. It was on my wish list a few years ago. I’ve definitely got to revisit this and purchase. As parents, there is so much to think about. I really like this post. Lol the raging beast I had become many times over the decades with mine. Great tips for controlling ones anger. Counting always worked best for me…though sometimes I think I must’ve counted to a zillion especially through the teen years. I’m not looking forward to the teenage years! I imagine I’ll be doing a lot of jumping jacks and counting! That’s so great that your second child mellowed you out! I think my second baby had the opposite affect on me! Oh, man. I used to have this issue, but I seemed to have mellowed out over the years. Or maybe I’m too tired to get riled up anymore, lol! Not saying anything in the moment is SO important. When I speak in anger, I usually regret it. Ha! It could be tiredness, or maybe just maturity 🙂 It’s good to know that managing anger could get easier as the years go by! So many great ideas. I often find myself angry, but I don’t want to be yelling at my kids. I find that counting really helps me, as well as just staying silent and taking some deep breathes. We’re getting out of the adorable baby stage at the Doren house – I think I need to save this one. 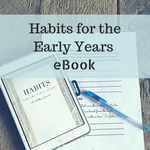 There’s a lot of joy that comes with the toddler years, but a lot of frustration, too 🙂 I’m about to have TWO toddlers so I better get good habits down quickly! This is great, Leah! My mom had a temper that I happened to pick up on to a degree and I really want to get rid of it. These tips were very helpful for me! Thanks so much, Rhiannon! Like you, I picked my anger-management up from a parent. This just shows me how important it is to set a good example for my kids!